Up until a few years ago I was blissfully ignorant, fat and happy. Now, I’m just fat and not all that happy about it. Back then – back when I used to pull into a drive-thru with my wife and kids, order a super-sized sack of “Lord knows what” – I didn’t think so much about family farms or industrialization, community, rain, bugs or the chemicals used to annihilate them. My yard was something to mulch, mow, or rake not something I could use to put food on my table. 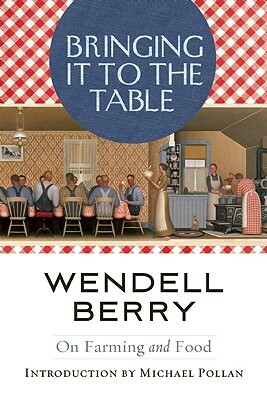 Then some well-meaning soul introduced me to Wendell Berry: the Kentucky farmer, poet, and author. That person should have warned me. I had just started reading some of Berry’s fiction when I heard he was coming to Charlottesville to give a lecture. I should qualify this statement – I’m not sure Berry’s books are fiction. Fiction shouldn’t have the sort of effect that Berry’s stuff has. Besides poetry and essays, he writes about the people, farms, in a fictional community in rural Kentucky called Port William. 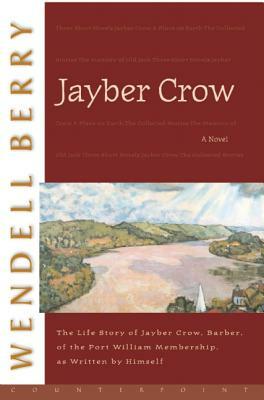 While reading his books, Jaber Crow and Andy Catlett, I found myself longing for the sort of community that only my grandparents fully knew. It wasn’t like I wanted to go back to the “good ole days”. No. The sense of community that Berry gives is bigger than that. It is the reality that our lives are connected to each other and the things that we do or do not do have an impact – on not just us. In fact, he is quoted as saying we should not have a “split between what we think and what we do.” If we say we care about folks then there ought to be something to show for it. Therein is a sense of community (shalom perhaps). I had just started to realize that Mr. Berry was writing more than “just” stories when he came to Charlottesville to give a lecture. I’ve sat through a lot of lectures in my day and, quite frankly, I’m not very good at it. But for some reason, I wanted to attend this one. He was humble, gentle and kind. It was not unlike having a wise friend over for coffee; except at the end of the conversation you suddenly find that he had completely rearranged your house. I went into that lecture one guy and came out another – fat but not happy and ignorant. I’m not sure how it happened; however, I’m pretty sure that Berry used some sort of Jedi mind trick. All I remember is that Berry said that people ought to know and care where their food comes. He also said they ought to participate in getting it to the table. 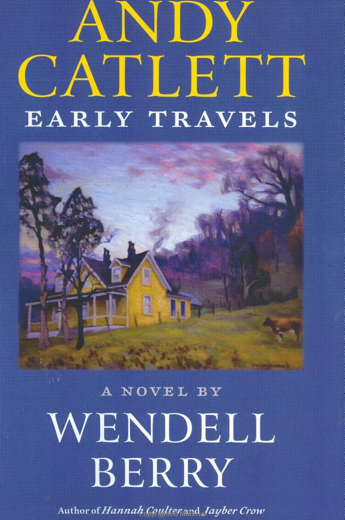 At some point that evening I found myself mumbling, “I should know where my food comes from.” I left that evening with a copy Bringing It to the Table: On Farming and Food and an overwhelming urge to plunge a shovel into dirt and plant stuff. When I got home I announced to my family that we were going to change our lives and grow our own food. Everything was going to change. It would require us to change the way we buy food. No longer would we eat fast food – except for Chick-Fil-A (because their food is goodish for you and they do good in the world – the others are the evil empire). We would also need to change the way we shop for food – trying to go local but being aware of how our food gets here. It also meant we would use some of our yard for a garden. My family looked at me like I had lost my mind. Sherry just smiled – she’s been living with crazy for almost twenty years. But I was serious. I worked on a farm to help pay my way through college. I wasn’t naïve about the hard work. But I had forgotten was that I am twenty-plus years older and I live in the suburbs. We couldn’t have chickens or a cow and we really didn’t have too much room for a garden. Nevertheless, I was committed. After all, Mr. Berry said we should know where our food comes from and we ought to help get it. That tiller nearly beat me to death. It pulverized me more than the soil. At some point I was reminded of the agreement I made with the bulging discs in my neck and lower back about manual labor. I was not to do it. 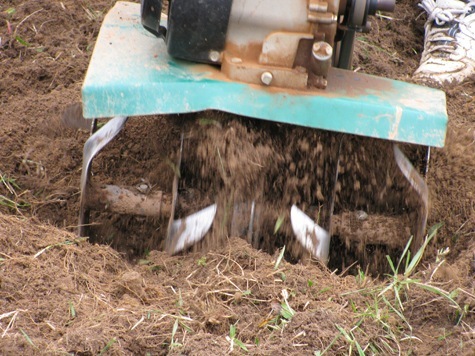 Nevertheless, I kept on mixing, tilling and preparing the soil. Once I got the soil ready I started laying out the neat rows. My youngest son and I dug little holes, dropped in a few seeds here and there, carefully placing them. We did this for a while and then I tried to stand up. I had to have my four-year-old son help me and I groaned the loudest old man grunt ever. He looked at me and said, “You okay Daddy?” Of course I am. I’m participating in getting food on our table. The worst part was the day was pretty hot; there was a huge sun in the sky. It wasn’t that the heat bothered me in fact I didn’t really notice. That was unfortunate because I forgot to wear a hat. Now for most folks that’s no big deal. For bald-guys that’s a huge deal. I scorched the top of my head. Let me add, it hurt when I blinked. That evening with everything tucked into their nice tight little rows I stood with my family looking with hope on our little garden. One of my neighbors joined us. My youngest son began to tell him all that he had planted. At one point my neighbor said, “What are you going to do about all the squirrels and deer?” I, uh, hadn’t thought of that. Then, from my stooped position, I saw my family working alongside one another carefully putting netting around the fencing. They were talking and laughing and enjoying themselves. My youngest son was going over each area that he had planted the day before, patting the soil as a way to encourage things to grow (and he doesn’t like veggies). As we worked, side-by-side, helping each other, to get food to our table, we started planning a menu and who we could share the bounty. Something happened to my family that never happened in a grocery store or even farmers market. We were participating in bringing food to our table but we were also focused on the fact that we wanted to share what we were growing. That subject came up naturally and organically. There was a sense of community that had come up even before the first green bean shoot. Something else happened. That evening, with the wildlife netting in place, we stood and looked at our frail but hopeful garden. We realized how vulnerable and dependent each one of these plants was. They were susceptible to everything and it was going to be up to my family and I to protect and raise them. 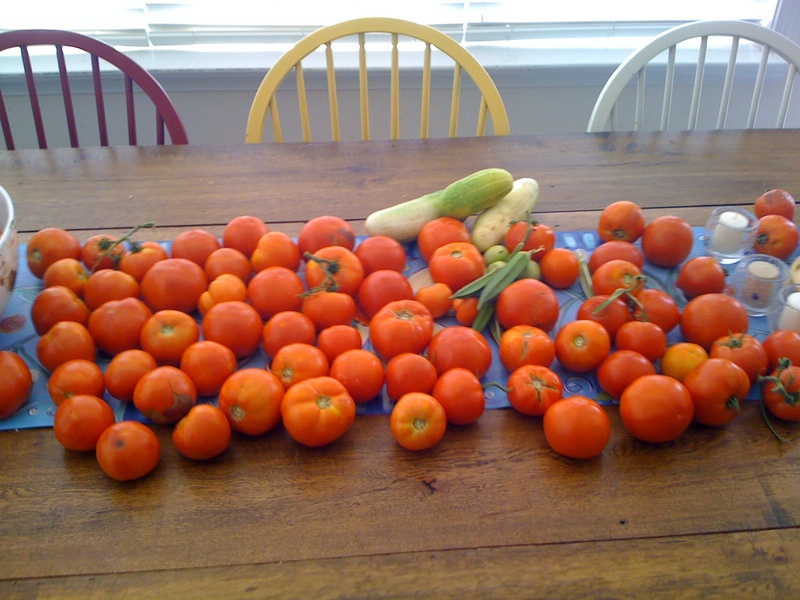 After all, one day these seeds and tomato plants would bear fruit and grace our table and bless the lives of people that we love. That’s when concern grew larger. I had only thought as far as the planting and the harvest. I had not realized how much care would need to go into bringing this food to the table. Nor was I ready for how much I would care. Standing at the produce section of my local store I had not given much thought to how they were grown. I made a lot of assumptions. But standing above my own plants I realized that the fruit of our labors was going to actually be food for my wife, my sons, our neighbors and friends. Bugs and vermin are real possibilities but would I put just anything on the plants to protect them? What damage could it do to my family? The soil? There was no way I was going to put anything on these plants that could cause them harm. The things that Berry had said began to sink in even further. The sense of community extended beyond just giving folks good things to eat. It extended into the how we are getting things to the table. How are food gets to the table matters. It matters a lot. Day that our first tomato was ready to be picked was a memorable occasion. We were grateful in ways we had never been grateful before – and amazed. The labor of our family, the care that we had put into the garden was rewarded and our care was rewarded with the “the fullest pleasure – pleasure, that” did not in any way “depend on ignorance,” as Berry wrote in Bringing it to the Table. Perhaps you’ve never been introduced to Berry; if that is the case, do not delay – go and get acquainted with him as quickly as possible. 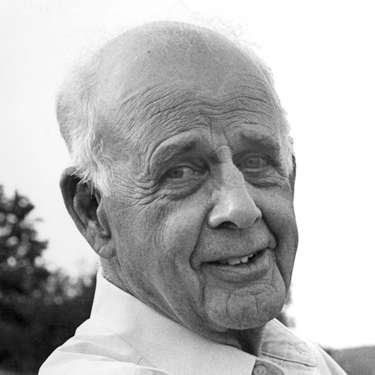 It is safe to say that Wendell Berry has had a tremendous impact on me. This year, for reasons beyond my control, I haven’t been able to put in a garden. I miss it. I miss the hard work as well as knowing where my food comes from. I miss participating in getting food to our table. I miss the way our family worked together to care and cultivate. I’ll also miss the fruit of our labors as much as sharing it. And yet – thanks to Berry – I am no longer “fat and happy” and blissfully ignorant and I do not miss that. 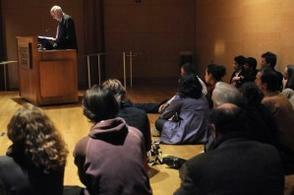 Check out a great article by Berry at Wendell E. Berry Lecture | National Endowment for the Humanities. a better world than this.